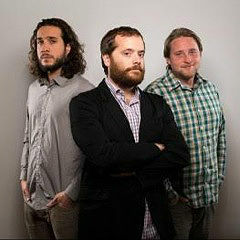 Gregory Edgerton, Bret Morgan and Danny Croak are all partners in Cowerks in Asbury Park. Asbury Park’s co-working tech center Cowerks welcomed the new year with a major expansion at its Lake Avenue home in the Lakehouse Music Center and the opening of a satellite facility at 21 Main St. The new site, a brand new loft area inside the Second Life Bikes shop, also has a new name, Junction Hall, because of its proximity to the Asbury Park train station according to Cowerks co-founder Bret Morgan. Morgan said Junction Hall is a collaboration with Second Life Bikes and is designed to bridge the gap between the city’s east and west sides and provide a connection to the central business district, Main Street and Springwood Avenue. Cowerks and Second Life Bikes jointly purchased the 9,000 square foot building last year. 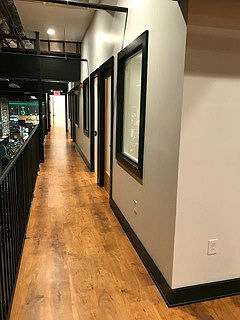 The main floor of the space is still filled with bicycles to be repaired, but now overlooking the area is a row of offices available for small businesses or individual entrepreneurs. Morgan, who owns Cowerks with Danny Croak and Gregory Edgerton, said the main idea is to serve the tech community, but he also sees a need for food start-ups. The project was completed with a grant from the New Jersey Economic Development Authority. One of the first occupants at Junction Hall is a video company, Yellow Five Studios owned by three brothers from Jackson Township. Dan, Ted and Keith Blackmore moved into their space last week and are excited about the new location. Junction Hall is the satellite office of Cowerks of Asbury Park. It is located at 21 Main St., inside Second Life Bikes. “Asbury is happening, it’s the place to be,” said Dan Blackmore, and brother Ted added that “the building sold us,” referring to the structure itself that dates back to 1900 with its original brick walls. The Blackmore brothers also own a second business, Special Days Video and Photography for weddings, Bar and Bat Mitzvah’s and other milestones. There are eight spaces inside Junction Hall with three others now occupied by digital marketers. Business continues strong at Cowerks Lake Avenue location which also has been expanded, offering desk space for freelancers, consultants and entrepreneurs. Morgan said Cowerks will continue offering classes, workshops and networking events and plans are being made for the next Asbury Agile Tech Conference in October. More details at www.Cowerks.com.